What would you do with $50,000 cash? Here is my honest answer: I would save it. But that is not fun to imagine, is it? So, here’s what I would dream of doing with $50,000 if I had to spend it! 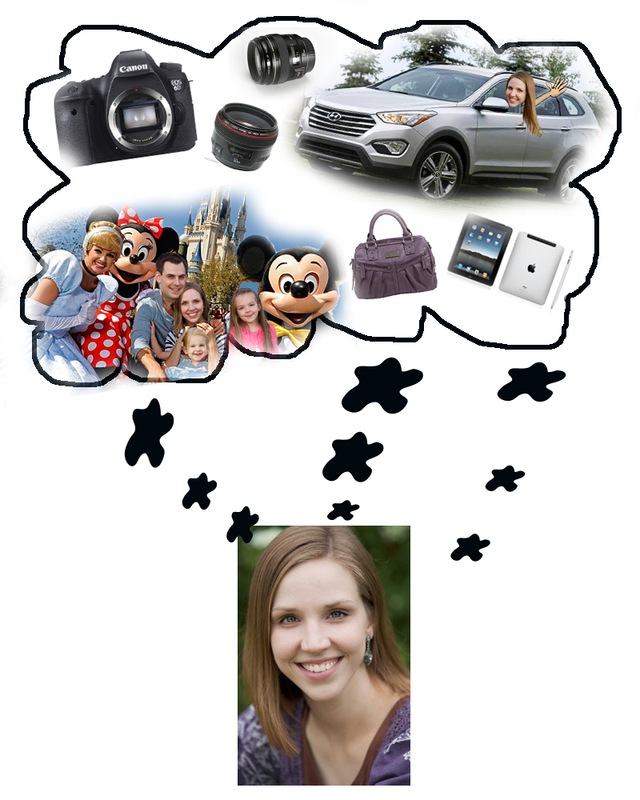 I would dream of an amazing trip to Disney World for our family, I would dream of a second vehicle, I would dream of a new camera and lenses and a beautiful camera bag, I would dream of my own ipad, and man, when you give yourself permission to spend a LOT of money (in your mind), it is really fun to think about! $50,000 can buy a lot, my friends! So, take a moment. What does your dream bubble have in it? If you get a golden ticket, you just enter your PIN code online and you could win one of 500 instant-win prizes – before being entered to win the $50,000 grand-prize or one of four runner-up prizes! Did you catch that? You could be spending $50,000 FOR REALS!!! So, um... GO FORTH AND WIN! Disclosure – I am participating in the Golden Kittens Blog Tour by Mom Central Canada on behalf of Royale. I received compensation as a thank you for participating and for sharing my honest opinion. The opinions on this blog are my own.